Wow! I'm going to have to research flowering tea, I've never heard of it, it looks so eerie! 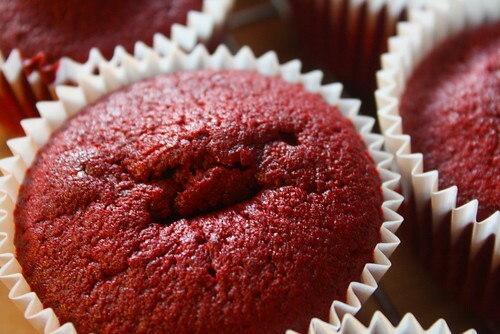 I adore red velvet cupcakes - so good! but agree about the kitchen after! Flowering tea looks weird but beautiful. How did it taste? They look soooooo yum, I'm a big Philly lover so I'll have to try these soon! I didn't know what flowering tea was until now, how lovely! I've never tried these but keep meaning to!! They look yum. 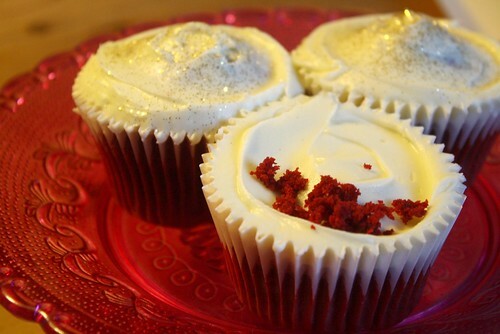 Ohhhh yum, they look amazing! Oooh they look so pretty! 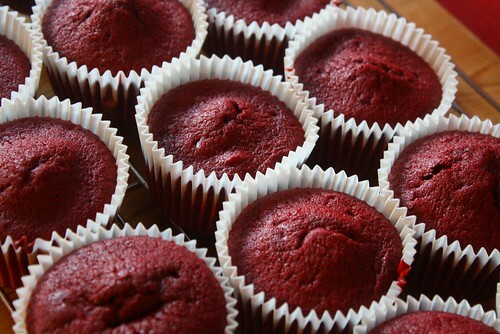 I love red velvet cake, it's so pretty and perfect. Oh my god I LOVE Humingbird Bakery cupcakes! Me and my friend tried to make the ones that... are they called chocolate bottom ones? With the cheesecake topping? Anywayy, it didn't work so well our end, but these look delish! Will have to try the recipe pronto, thanks for sharing! I'm glad I'm not the only one to use to much colour when making them... I thought I was doing something wrong, lol. 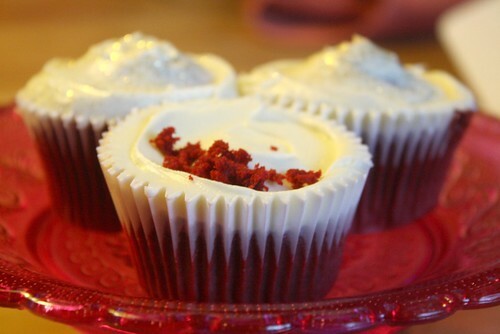 I loooove making red velvet cupcakes! Though you are right about the kitchen resembling a blood bath - it was like Freddy Kruger had come for afternoon tea! 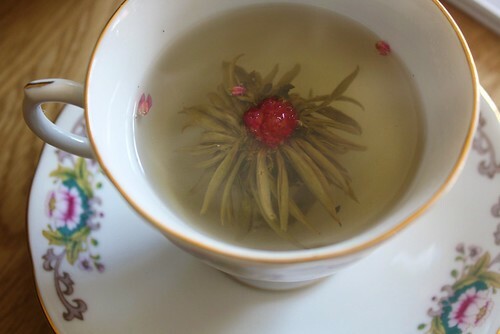 Love the flowering tea - isn't that amazing?! Cupcakes and tea amazing!! Those look delicious! if you use gel colouring you use a lot less as it works better than the normal and i find it looks less like a massacre in the kitchen haha!